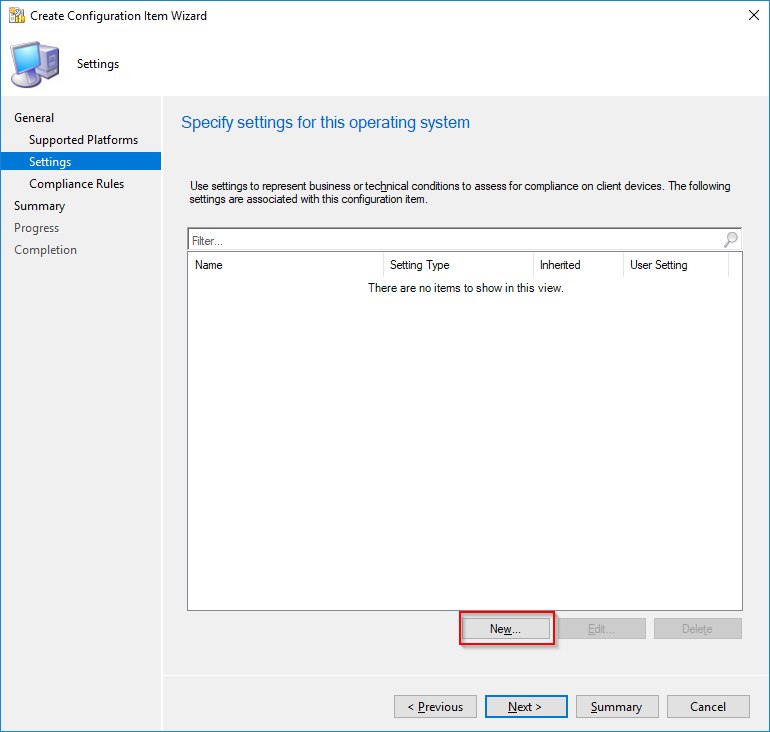 In the above article, Microsoft gives us some insight on the vulnerability itself, as well as how to detect and counter the vulnerability. As how to detect the vulnerability, they released a patch which writes an entry to the event log and highlights the vulnerability in TPM.msc. They also released a Powershell script, which they in turn – unfortunately – don’t go into much details about. They tells us to use PSremoting to query multiple computers and nothing else. 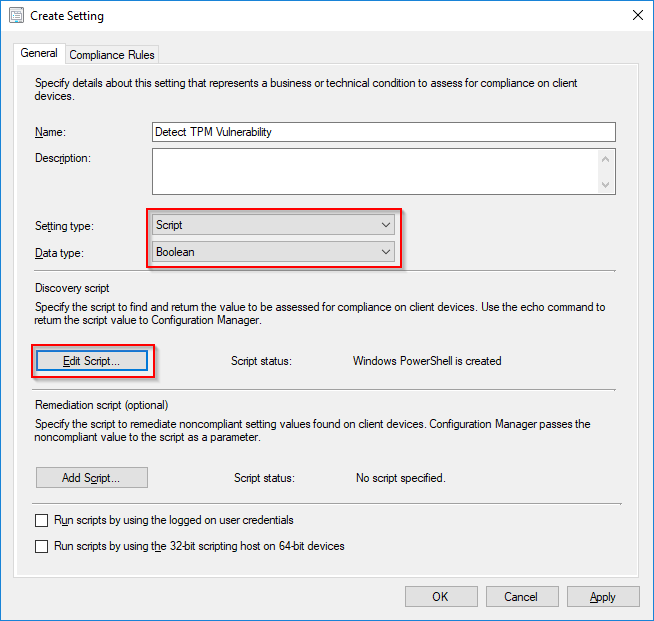 So, how about using ConfigMgr to detect whether our computers are vulnerable or not? 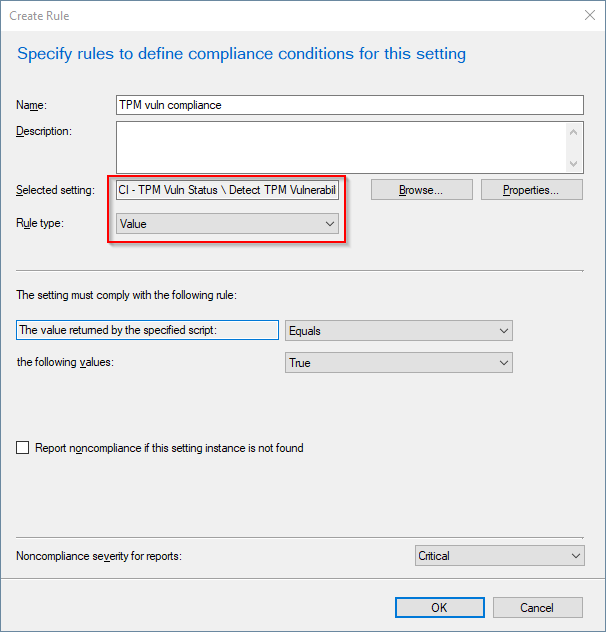 Compliance Settings to the rescue! I rewrote their script to instead return $true or $false, and make it usable to detect compliance or non-compliance. $FirmwareVersion = $Tpm.ManufacturerVersion -split "\." 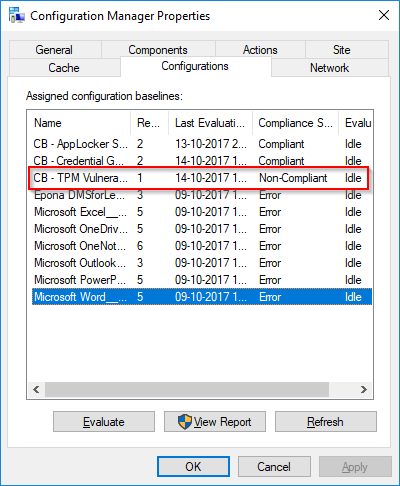 #No TPM found on this system, so the issue does not apply here." #This non-Infineon TPM is not affected by the issue." #Could not get TPM firmware version from this TPM." 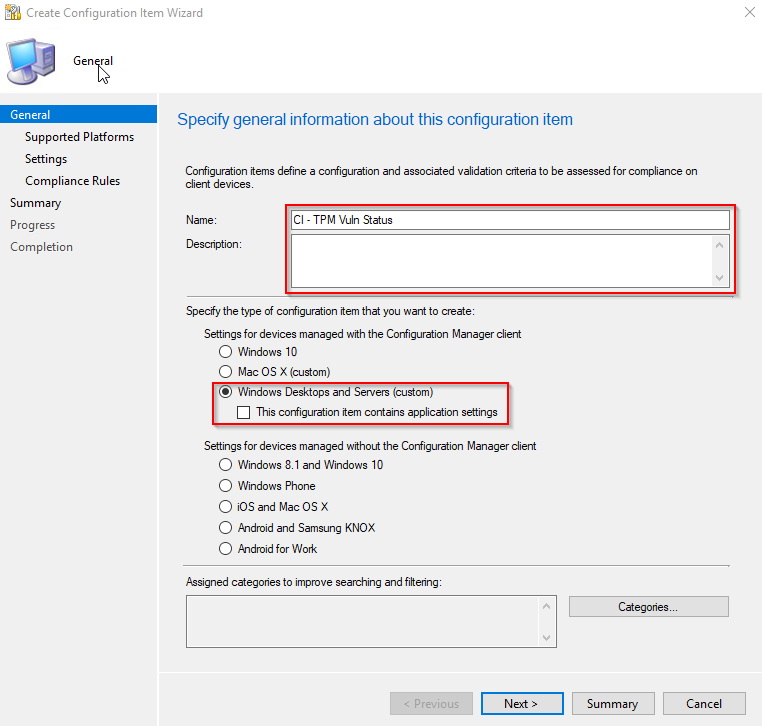 the command get-tpm is not availbe in PowerShell 2.0 which is the default on Win 7.